I made two batches in my slow cooker. The first with a ton of sugar and the second with maple syrup and honey. They are both delicious. I cooked the sugary one longer and it came out thicker. 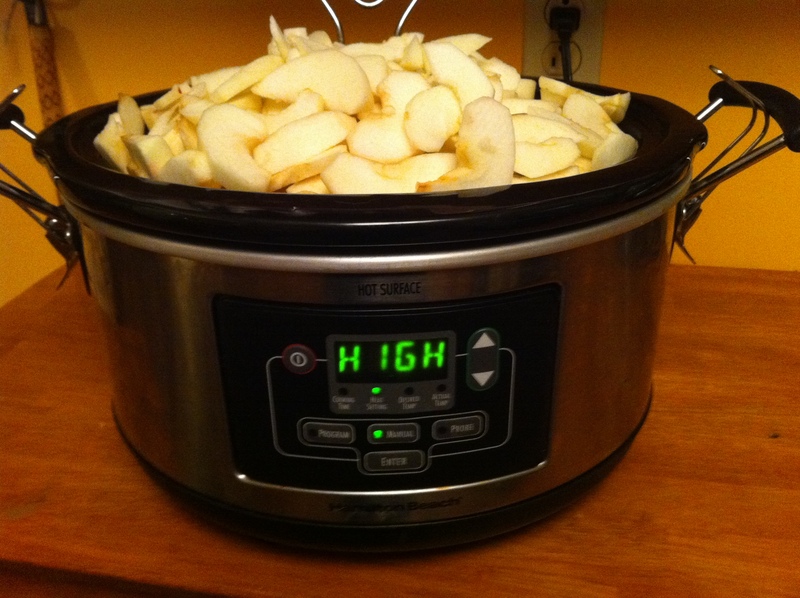 In the slow cooker on high for a couple hours, then low overnight and/or the rest of the day until the apples cook down to a sauce and the pooled liquid evaporates. Stir occasionally. I cooked my first batch on and off for two days. The cooker went off a couple times and when I turned it back on I put it on high for a bit, then turned it back to low. The second batch I cooked for about 24 hours and would have done it longer as it turned out a little thin. I am sure the sugar also adds to the thickening process. 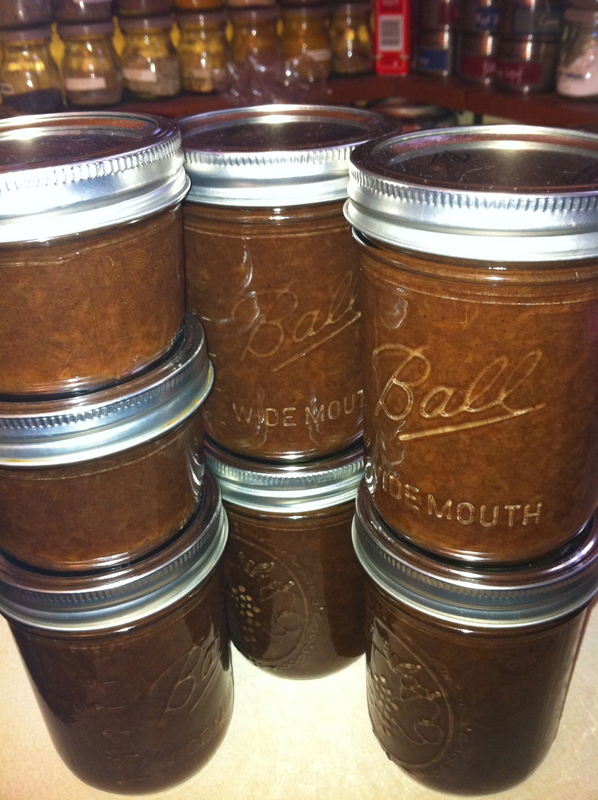 This entry was posted in Recipes, Snacks and tagged kid-friendly, local, Slow Cooker. Bookmark the permalink. Both comments and trackbacks are currently closed.